Q1. how do i pay and when? Q2. do my apliances need special attention? Answer: Most appliances require special servicing to insure safe transportation, Gas and water appliances need to be serviced and disconnected and any moving parts such as motors on major appliances, washer drums, or mechanical arms, should be securely fastened for shipment. 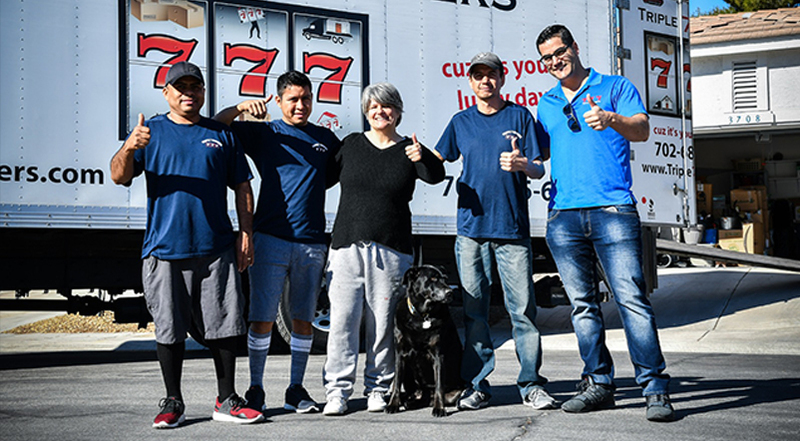 Triple7Movers will provide these services using its own qualified personnel. Q3. what furniture should i take apart prior to the move? Q4. What happens if I have to reschedule my move? Answer: Triple7Movers are aware of the complexity of moving in general, and choosing a moving date in particular. Therefore, we are always ready to accommodate any change to our customers’ moving schedule. Please contact our relocation representative, as soon as you know about the required change in moving arrangements. Q5. Should i pack my own belongings? Answer: You can pack your own items and save money, if you wish. However, Triple7Movers cannot be responsible for items you pack yourself. If you decide to pack your own belongings, take a look at our Packing Tips section for a short guide on packing. Your Representative can also supply you with all the tips and items you’ll need to do your own packing. And remember, for just pennies per pound, you can have our trained packing crew pack your belongings. Q6. How soon should I call a moving company? Answer: The earlier you call the better. 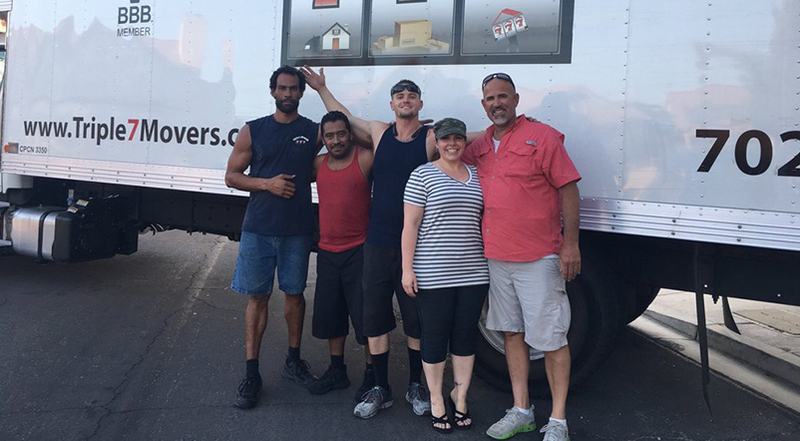 The more lead time you can give, the more likely we will be able to meet your preferred pick-up and delivery schedule and be ready to address all you moving needs. Q7. Can I get a free on-site estimate? Answer: Yes, upon request, we will send one of our relocation consultants to your home. 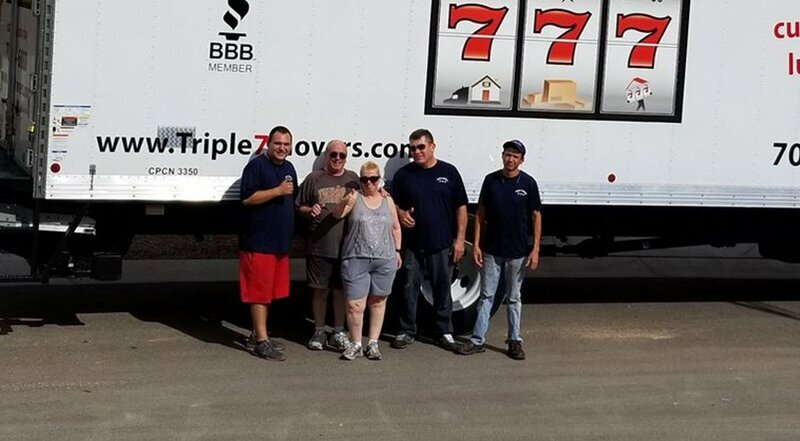 Triple7Movers relocation consultants are trained to assist you with all your moving & storage needs, and to advise you on any relocation related question. Our relocation consultant will provide you with a written binding estimate, which specifies all costs and services included. Q8. what should i do if the house i am moving to is not ready at the day of the move? Answer: Triple7Movers can provide a storage between pick up to delivery in our storage until you are ready to receive them. this can be done in our storage facility in las vegas as a part of your move. Q9. will my house be the only house on the truck in a long distance drive? Answer: Sometimes in order to keep the price as low as we can we will add another house or maybe more to fill up the truck, keep our costs low and that way we can keep the charges low, the average trailer holds from 18,000 to 24,000 pounds-the equivalent of three to four household shipments. We devide each shipment by putting special deviders and marking each house with a different sticker that has its own lot number and color.